Girl add some sports vibes to your look with these trousers. 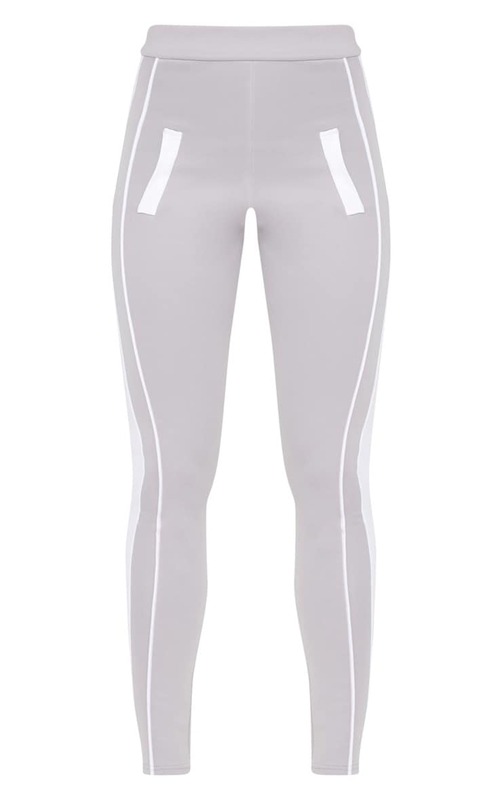 Featuring a grey scuba material with a contrasting white side stripe and a skin-tight fit. Style trousers with a crop top and barely-there heels for a killer off-duty look.